Jenny concentrates her practice almost exclusively on real estate. We have worked with her successfully on many transactions. Before joining Meyer Capel, Jenny practiced law with an Indianapolis firm, where she focused in creditors' rights and commercial transactions. She also served as a volunteer with Legal Lines, a telephone consultation service of the Indianapolis Bar Association, answering questions and providing assistance in all areas of the law for persons unable to afford legal counsel. At Meyer Capel, she concentrates on real estate, land development and condominium law. Jenny is a member of the American Bar Association, Illinois and Indiana State Bar Association and Champaign County Bar Association, as well as the Asian Law Society. Jenny also serves on the Board of Champaign County Bar Association as Vice-President. Away from the practice of law, she enjoys attending symphonies and theatrical performances and participating in sports, especially tennis, running, and golf. Wendy is very personable and deals with a great deal of real estate in her legal practice. Steve is Matt’s attorney, who he retains every time he buys or sells real estate of his own. Steve is friendly, experienced in real estate, and also deals in various other areas of civil law, including estate planning. 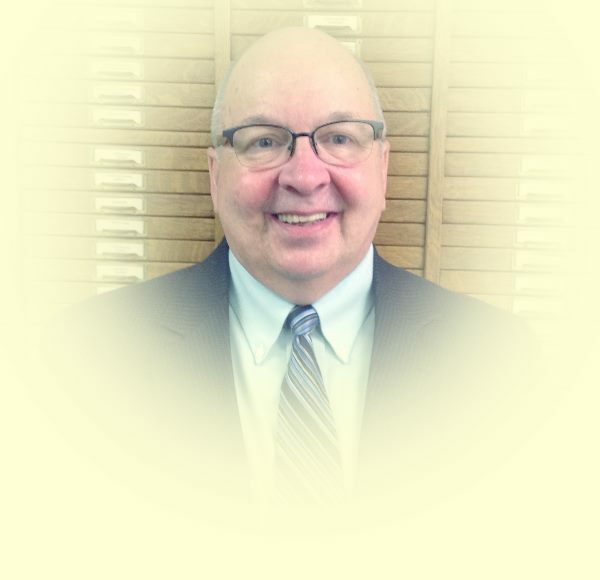 Stephen K. (Steve) Sheffler has lived and practiced law in the Champaign-Urbana area since 1979. He was born in 1951 and raised on a farm north of Quincy in West Central Illinois. He was Valedictorian of his (Warsaw, IL) high school class, then attended and graduated in 1973 from Illinois College (Jacksonville, IL) with Highest Honors and as a Phi Beta Kappa member. His majors were in Economics and Business and in German. After College Steve attended the University of Illinois College of Law from which he graduated with a Juris Doctor degree in 1976. He was admitted to the practice of law before the Courts of the State of Illinois in 1976 and was an associate with the Carthage, IL law firm of Hartzell, Glidden, Tucker & Neff (1976-1979) before coming back to Champaign-Urbana. He has also been admitted to practice in the following Federal Courts: the US District Court for the Central District of Illinois (1979), US Court of Appeals for the Seventh Circuit (1985), and the United States Supreme Court (1983). In October, 2000, he also received certification for completion of 20 hours of civil litigation mediation training conducted by the Center for Analysis of Alternative Dispute Resolutions. Steve has been a member of Kiwanis and AMBUCS. He served for six years on the Board of Prairie Center Health Systems, Inc., serving as its President for 2 years. 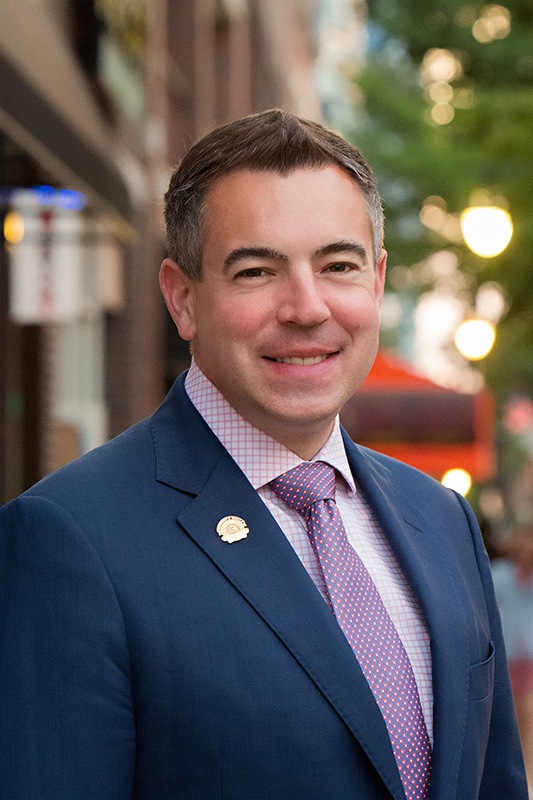 Steve currently acts as the Vice-President of the Board of Governors of the Champaign County Bar Association, and has been a board member since 2005. Steve is married to Paula Sheffler, who is an RN at Carle Clinic, has two step sons and four step grandchildren and currently resides in Sidney, IL. Former member (for 6 yrs) and Past President (for 2 yrs) of Prairie Center Health Systems, Inc.
Current member and Vice-President of Board of Governors of Champaign County Bar Association. In 1994, Mike worked for Governor Jim Edgar's re-election campaign and in addition to serving as a senior advisor for the campaign, was responsible for the campaign in the 30 southernmost counties of Illinois. In 1995, Governor Edgar asked Mike to serve on his Senior Staff until the Governor's retirement in January 1999. In addition to his responsibilities as a senior advisor to the Governor, Mike oversaw Governor Edgar’s schedule, briefings, advance team and travel. Mike also served as Governor Edgar’s liason with local government officials in 96 of the 102 counties of Illinois. Mike's areas of concentration include residential and commercial real estate law, business and corporate law, estate planning and probate. Mike also continues to work with Governor Edgar at the Institute of Government and Public Affairs at the University of Illinois. Mike is a member of the Champaign County Bar Association, the Illinois Bar Association and an affiliate member of the Champaign County Association of Realtors. Paul Cole brings a varied background to his practice of the law. His experience helps him approach each case with a broader perspective of how best to work on a client's behalf. After graduating from Kenyon College in 1967 with a degree in English Literature, he served as a U.S. Army sergeant in Vietnam. Paul also earned an MBA from the University of Chicago in 1971 and worked in banks in Chicago and Philadelphia. He graduated from the University of Illinois Law School in 1977. Paul concentrates on real estate, administrative law and bankruptcy. His determination to set realistic goals for his clients is particularly valuable in these areas. Candor and openness are important parts of his attorney-client relationship. This positive approach includes the research and preparation of an overview for each case, which provides an additional level of confidence for his clients. Paul is a member of both the Champaign County and Illinois Bar Associations, the AMBCCS and the Illini Striders.To Paul Cole, the challenge of the law lies in his ability to provide clients with the means to make well-informed decisions. Thomas, Mamer & Haughey, LLP. Denise Knipp Bates joined Thomas, Mamer & Haughey, LLP in 2007 and became a partner in 2014. She concentrates her practice in the areas of real estate, wills, trusts, probate, guardianships, general business law, elder law, Medicaid planning, and tax appeals. Denise graduated a James Scholar from the University of Illinois at Urbana-Champaign in 2000, where she received her Bachelor of Arts degree in political science and speech communications with a minor in Spanish. She received her juris doctorate from Loyola University Chicago School of Law in 2003, with a concentration in trial advocacy. In 2003, she was admitted to the Illinois Bar and was admitted to practice law in the U.S. District Court for the Central District of Illinois. During law school, she served as captain of the Niagara International Moot Court Team, competed in the Intraschool Moot Court Competition, and was on the National Moot Court Team, where she advanced to the National Competition. She is a member of the Illinois State Bar Association, the Champaign County Bar Association, and the East Central Illinois Women Attorneys Association, where she served as the President for two years. She is also a member of the Champaign County Association of Realtors and the Executive Club of Champaign County. In 2006, she won the ECIWAA Service Award. In 2008, she was a winner of the Central Illinois Business Magazine's "40 Under 40." She is currently the President-Elect of the Junior League of Champaign-Urbana and the Vice President of the Eastern Illinois Estate Planning Council. Lott H. Thomas, son of one of the firm's original partners, joined Thomas, Mamer & Haughey, LLP in 1962 after graduating from the University of Illinois College of Law. In his practice, he concentrates in the areas of probate, wills, trusts, real estate, general business and tax law. Mr. Thomas is a past president of the Champaign County Bar Association and has served on several Illinois State Bar Association committees. He was selected as one of the Top 50 consumer lawyers in Downstate Illinois based upon surveys by the Leading Lawyers Network. His community involvement includes service as president of each of the following: Champaign County United Way; Champaign Rotary Club; Arrowhead Council, Boy Scouts of America; Champaign Public Library Board of Trustees; CCDC Foundation and the Champaign Public Library Foundation. Melissa Thomas, granddaughter of one of the firm's original partners, joined Thomas, Mamer & Haughey, LLP in 1999. Previously, Ms. Thomas was an attorney with a law firm in Naperville, Illinois, and conducted her own practice in Plainfield, Illinois. She received a bachelor of science degree in psychology from the University of Illinois at Urbana-Champaign, where she was selected to Phi Beta Kappa and Phi Kappa Phi. She graduated from the University of Illinois College of Law in 1994, and was admitted to the Illinois Bar that year. In her practice, she concentrates in the areas of elder law, Medicaid planning, guardianships, probate, trusts, wills, real estate, general business law. She was selected as a leading lawyer by her peers and noted as one of the top 50 female attorneys in downstate Illinois. Ms. Thomas is a member of the American Bar Association, Illinois State Bar Association and Champaign County Bar Association. She was a member of the Corporation, Securities, and Business Law Section Council for the Illinois State Bar Association in 2003. In addition to her legal activities, she has served in animal rescue for many years and as a volunteer for Humane Societies. She was President of the Champaign County Humane Society in 2003, and chair of the Champaign County Chamber of Commerce in 2008. Jeane Gohl-Noice founded Gohl-Noice Law with the goal to use her experience as a professor of business law at Parkland College and her past business experience to provide high quality, affordable, prompt legal expertise and advice in business transactions, real estate transactions, estate planning and probate. My office is certified to accept ARAG clients. Mary Ann was the attorney I used for my home purchase. She was great to work with and reasonably priced. Let me know who you’ve decided to use once you’ve made contact.